The calm before the April storm I think today, with only a handful of volunteers on site. 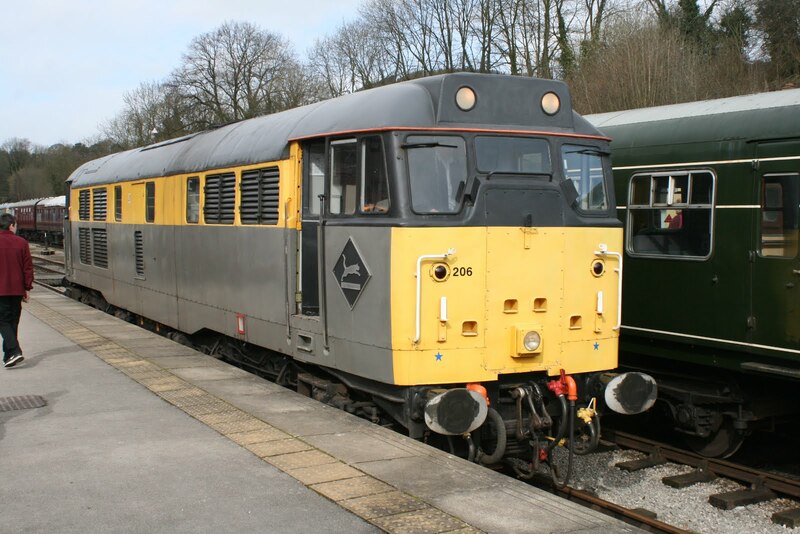 We are running trains for the next three Fridays, which are just part of 21 days running out of 30 days in April. Easter is just around the corner. Plenty of planning going on in the Commercial Department for the excitements of the summer, whilst Lee worked on the body work of the EVRA CK coach. A new device was trialed at Wirksworth today prior to it being rolled out throughout Network Rail. The cloths seen are not part of the apparatus! 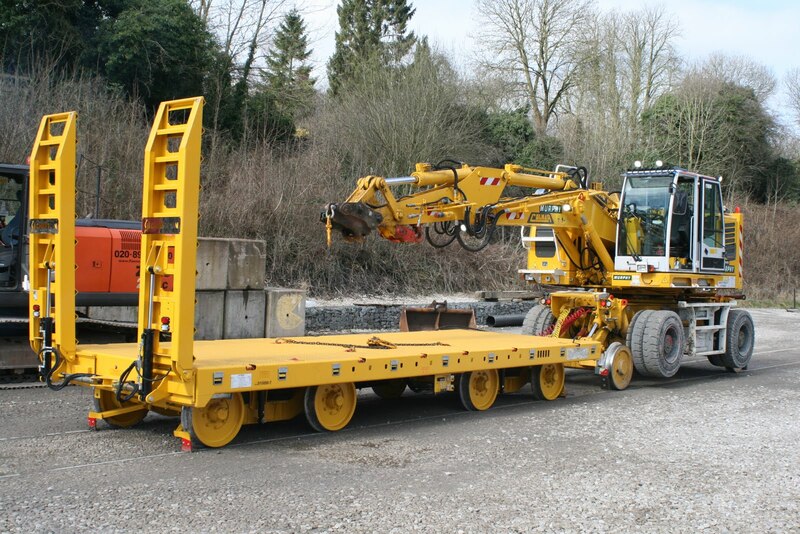 They were to protect the parts that came into contact with the rail as the device had been sold to a customer. When used the distance from the treadle to the alarm is 200 metres giving time for the team to move into a place of safety. Whilst waiting for a potential test customer I had a look at the progress with the Maintenance Facility Extension and the new mini locomotive. As March nears the end, the temperatures are happily rising! 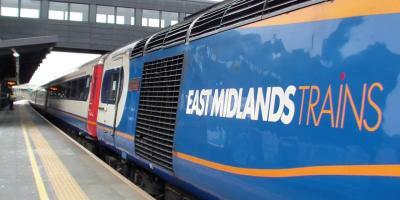 Today we hosted an East Midlands Trains Management Team Building Day which saw some of their Senior Management Team doing planning exercises in the Pullman, learning to drive the Class 31 and having a go on Iris too. They also enjoyed a buffet that was labelled as "beyond what they expected" before they got started. It is days like this which help cement working relationships with other local businesses. 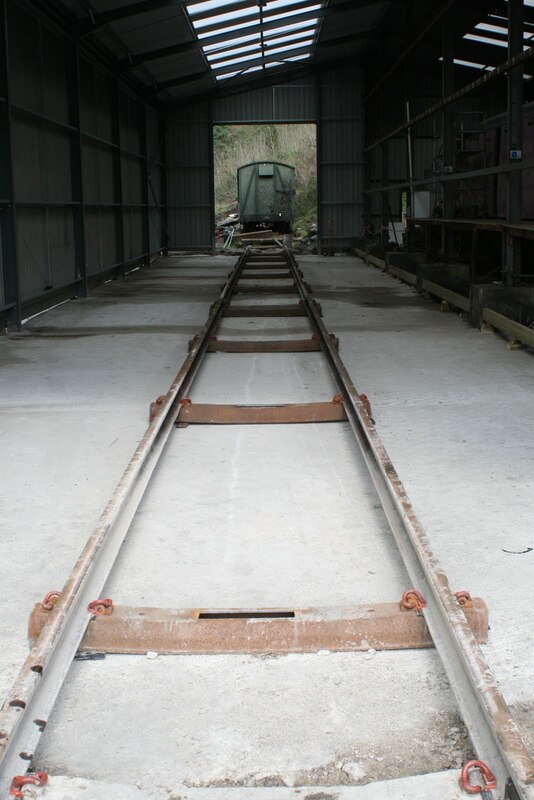 The PW team were down the yard continuing to lay the track in to the new shed and the Maintenance Team were dealing with troublesome interior sliding doors in the 119. The final operating day of March saw reasonable passenger numbers for the time of year and it was great to see Iris back out in service for the first time in quite a while (officially May last year)! Down the yard, the PW team were laying track into the new shed extension which will allow the concrete to be laid maybe next week. I have to apologise because Peter gave me the steam team's progress but I have left it in the office! 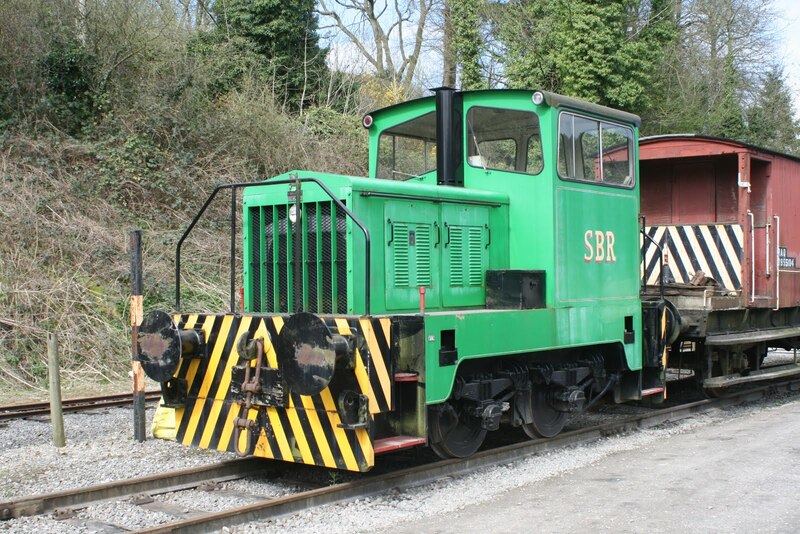 Yesterday we took delivery of a cute little yard shunter. 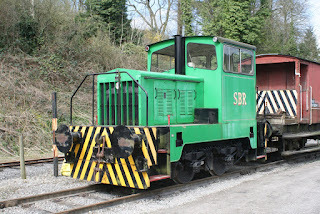 It is a 170hp Thomas Hill Class 188c called "Tom" and is going to be a great help in shunting Wirksworth Yard, reducing the need to use a big loco. Another beautifully sunny day in Wirksworth with the trains happily well loaded all day. We hosted pre-booked Mother's Day guests today who had a ride down the line with a fizz reception from Eric, followed by an Afternoon Tea in the Pullman. Everybody seemed to enjoy themselves so thank you to the Catering Dept for their efforts. Down the yard, work continued stripping out the old interior of the RF kitchen car. Further work was done on Iris after the fitting of the vacuum cylinder yesterday. This fault seems to be finally rectified and today they spent time fine tuning the set up on the vehicle including throttle motors and engine governors for smooth running. Hopefully she'll be out on passenger duties again soon after a lengthy spell in the sidings. It is said the sun always shines on the righteous and today our railway basked in glorious sunshine. 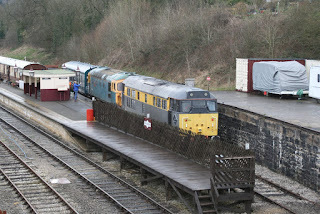 The weather certainly brought out our visitors and the two car DMU set carried good passenger loadings throughout the day on the Duffield to Wirksworth service. Talking of DMU's the newly formed Ecclesbourne Valley Railway DMU Association held a meeting on platform one in the three car set to agree its constitution which was well attended. 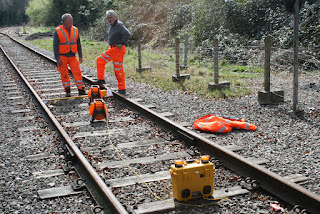 Down the yard John Ball conducted a training session on the new defibrillators which are now located at our main stations and in the guard's compartment on the service train. Following their meeting, the DMU team set about further investigating the enduring problem with Iris's brakes. The LMSCA were also in attendance. 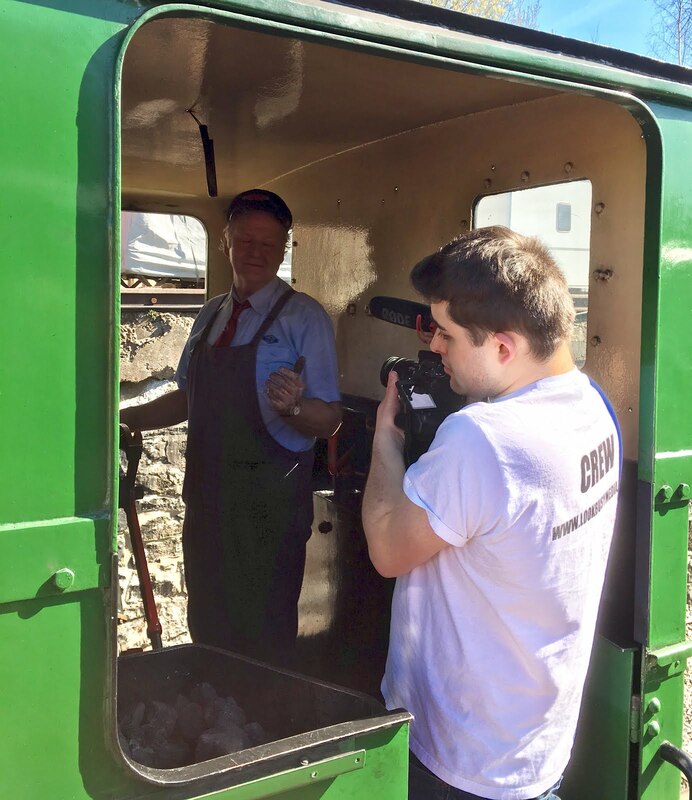 Henry Ellison was in service on the incline with Joe and Andy playing hosts to two groups of visitors who had relatives participating in a footplate experience. Both sets of visitors had a very enjoyable day. We also played host to 'Look Busy Media' who are producing a new promotional short film of the railway and special thanks goes to budding thespian Andy Denham who's footplate was his stage for a brief moment today. (photo attached). The miniature railway team were also out in force and the project is on track for their June opening. 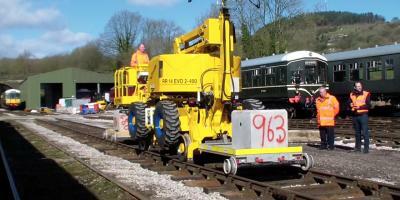 Todays service was supported by the Model Railway and EVRA shop. Finally welcome to Chris our new Booking Hall Clerk at Wirksworth Station. I hope you have a long and rewarding time with us. 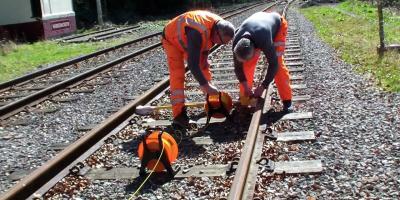 A beautiful sunny day which saw a contingent from Network Rail come on a team building day. One team washed the outside of all three Pullman coaches on both sides, another cleaned inside the Met-Camm three car set and the third team went down between Gorsey Bank and Idridgehay trimming vegetation. We collected them from Duffield this morning and took them back this afternoon. Eric was open in the buffet to refresh them too. Our civil engineering department started laying the base for the Gorsey Bank crossing box. Drowned rats would be the correct description !! 55006 had some linkages renewed in an effort to sort the braking problem and worked continued on the EVRA CK bodywork. Don't let the sunny weather fool you, it isn't warm! A little touch of post-gala depression today as things back to their usual self. 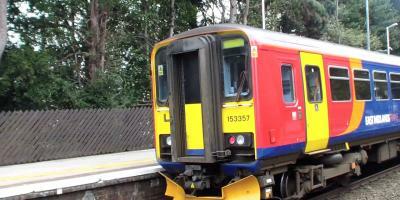 The trains were steady all day but were boosted too by a coach party on the last train. Down in the shed, Lee continued with the work to refurbish the bodywork on the Mark 1 CK and the steam team were hard at work adjusting the right hand crosshead slide bars on Cathryn. The left hand connecting rod has also been removed to get rid of the rust that has built up since it was last done. Over in the Steam Dept (Running Division), No.3 was having repairs to the steam braking system and modifications made to the ashpan mechanism. The yard was shunted to reposition vehicles after the excitements of the weekend and Eric the Teddy Bear was placed on the loading point for departure tomorrow. 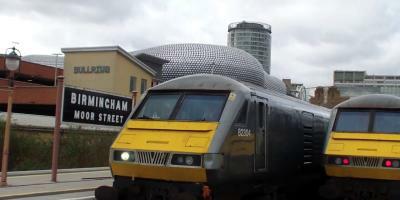 What a fantastic locomotive! 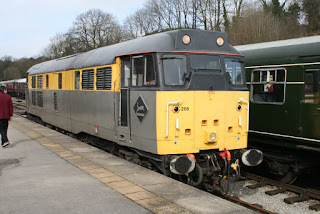 Another offering from the Diesel Gala including the elegant consumption of a bag of crisps! 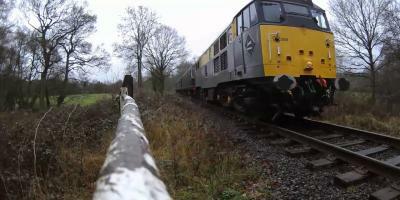 A most fantastic two busy days on the railway for our Diesel Weekend. 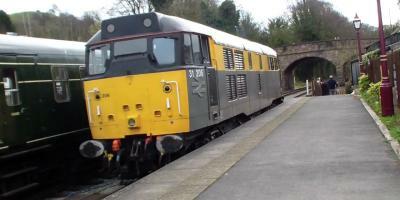 Our resident Class 33 was joined by the recently arrived Class 31 and also a visiting Class 14. 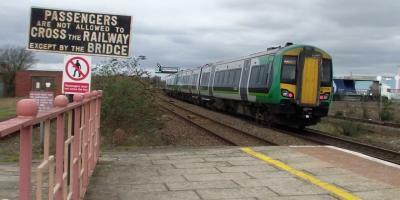 The trains were happily well loaded on both days with many taking advantage of the on board catering facilities too. Duffield Booking Office was swamped on Saturday morning which was great to see. The weather on Saturday was quite wet so it was pleasing to see that this didn't affect our spirits! Despite an unusual issue with the Class 14 on Sunday morning which delayed and altered the diagramming, the locomotive certainly is a fine machine. Our colleagues and new friends from East Lancashire were impressed with our hospitality and professionalism so I am sure we can build on this relationship in the future. Well done to everyone who took part as I know these events take a lot of hard work and dedication to carry out. 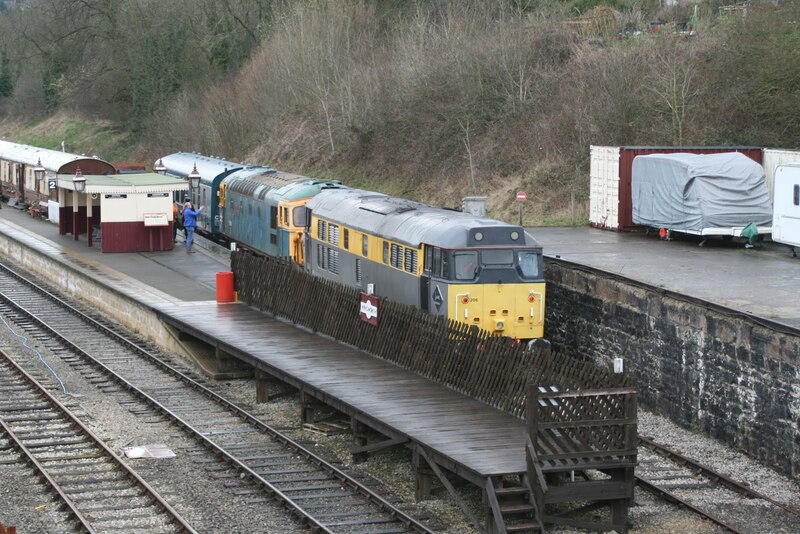 This is the first time we have used three locos, our resident class33 33103 Swordfish, class31 31206 which is with us for two seasons and class14 ' Teddy Bear ' D9537 on a weekend visit only. The enthusiasts and public braved the rain and many trains were fully loaded. All retail and catering outlets recorded good takings. It was also a first to have catering on both trains. Richard was giving yard tours before the first train had run ! 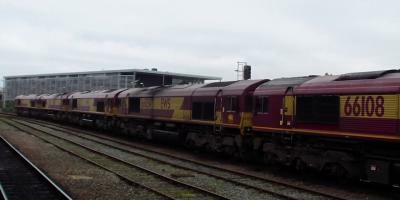 Some quite unusual movements on the railway today. Firstly No.3 steamed to Duffield to convey a water tank which is used for steam loco emergency supplies. 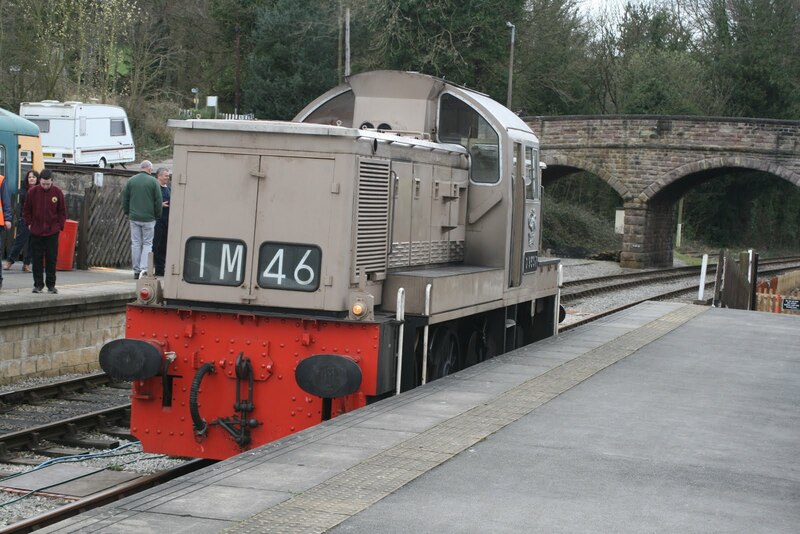 Then, with preparations underway for this weekend's Diesel Weekend well under way, visiting Class 14 "Eric" went on a route learning run for the drivers from the East Lancs. 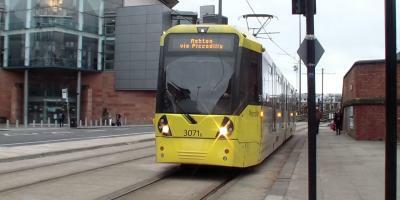 After this, the 33, which had been repaired by the Boffins from Burton following a sticky load regulator and blowing control air valve, also went on a test run. What a fantastic day to be outside! I wasn't most of the volunteers were. 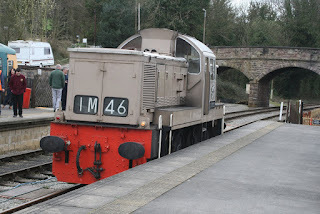 The works train tripped down to Duffield to remove a van which has been in the headshunt there, ready for the Diesel Weekend this weekend. They also collected some materials on their way through. Down the yard, the Maintenance Team refitted the overhauled vacuum cylinder on to Iris finally and then reconnected all of the brake rigging. 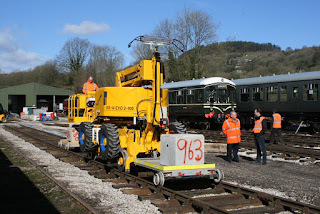 The static vacuum tests were passed at the end of the day so assuming the rolling tests go well tomorrow, it might actually feature at this weekend's event on the Ravenstor line. 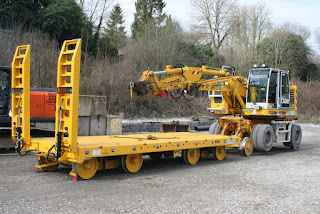 Ron was beavering away on the Miniature Railway, moving a delivery of materials from the car park to where needed which seemed to involve 1000 trips with the trolley (slight exaggeration but quite a lot). We are eagerly awaiting the arrival of Class 14 D9537 'Eric' as I write which shouldn't be too much longer. The PWay team continued fish plate greasing south of Shottle. The DMU duo washed the east side of the coaching rake ready for this weekend's Diesel gala and commenced an A exam on railcar W51073. 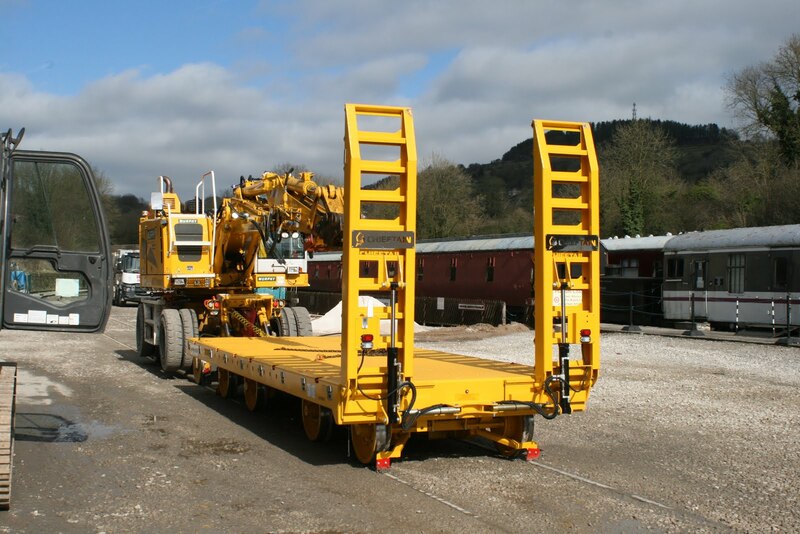 Today's customer brought a special trailer capable of conveying heavy plant to site. They were looked after by Bob Grange and were having a satisfactory day with us. Yesterday actually turned out to be the busiest non-event day in March we've ever had so we were full of high hopes for today. The sun did break through and it turned in to quite a pleasant day but the passenger numbers were not as good as yesterday, possibly being put off by a poor forecast. That said it was a good day in the gift shops today. It has also been a good weekend generally for the buffet. Down the yard, work continued in stripping out the RBK kitchen car coach which has now reverted to an RF. This is a major refurbishment which is likely to take quite a long time. After a bit of head scratching with yesterday's disappointing testing of Iris' vacuum cylinder it was decided to try a space piston. This replacement seems to have worked so the theory is now that somehow the piston had become bent of misshapen somehow. After the beautiful day yesterday, it was dull and drizzling today but not too cold so that's OK. Today work continued on the body work and repaint of the CK in the shed whilst a start was made on cleaning the interiors of the coach rake that was put together yesterday. The Diesel Weekend is now just a week away so the cleaning and finishing touches before running are being done. The Station Team were in this morning attending to one or two minor defects on the station including a leak in the Platform 2 shelter and a problem with one of the foot crossing gates. They also did some measuring up so we can get the materials together to replace the top on the 4-wheeled platform trolley. The tarmac on Platform 1 had several hours spent with a pressure washer cleaning up the area after the mud from recent works and moss from a damp last few months had made it look rather messy. It isn't quite finished because time ran out but it does look much better! Today's guest machine ably hosted by Eric and I learnt the significance of the blue wheel rims - they indicate the the tyres are foam filled reducing the impact of a puncture. Unusually for a test day the weather was most pleasant! 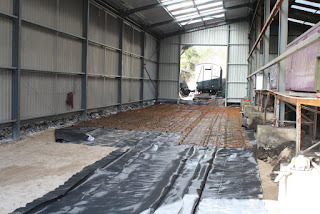 The other photo shows the reinforcing being laid in the Maintenance Facility for the first concrete pour. 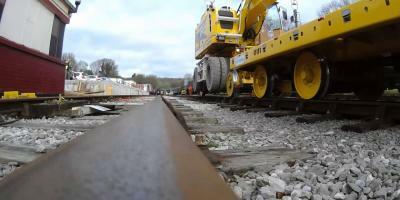 We sometimes put videos on the Rail Engineer site. Would you be happy to make this one available? Louise at AMCO loved it! A most interesting day where some 45 guests were welcomed and hosted to witness a new tunnel maintenance device in operation at our very tiny tunnel. Nonetheless, despite its claim to be the shortest tunnel in Derbyshire it was very suitable for the demonstration of the new technology.